Ok, I only quoted you so it would show up in your notifications. I just clicked on your link again this morning and it still takes me to the gmail?? Is it a daily driver? is it a garage queen? does it sit outside all day at work? do you want long lasting protection? do you like carnauba's or polymer sealants? do you like a wax that covers up the swirls and hides flaws? do you like a very easy on easy off product or one that is thicker? etc, etc...... I could go on and on believe it or not. These thoughts are what literally go through my mind when someone asks me "what's a good wax"?? I usually tell them the truth.... "It's truly personal preference." The important thing is that the car is properly prepped with clay baring and protection is applied no matter what brand or type. With that in mind I will leave you with this easy to read article I ripped off Autogeek's website. Please keep in mind this is an older article written well before "coatings" were invented and also before the improvements of the sealants of today which look much better then the sealants of 5-7 years ago. "You have two basic choices when it comes to paint protection: carnauba wax or synthetic paint sealant. Here you’ll find information on each so you can choose the paint protection that’s right for you. Carnauba wax is produced by the Brazilian Tree of Life, a palm tree, in order to coat its leaves. The wax provides protection from the sweltering sun and it sheds water so it falls onto the ground and is absorbed by the tree’s roots. If you think back to junior high science class, you might remember that plants release oxygen through their leaves. For this reason, carnauba wax is breathable. Good for the tree and good for your paint. Carnauba is rock hard in its natural form. When the leaves of the Tree of Life are harvested, the wax flakes off as the leaves dry out, or they are put into a machine that removes the wax. It comes off in hard flakes. Car Wax makers have to blend the wax with oils, petroleum distillates, or a solvent called naptha (commonly used to thin wood varnishes and paints) in order to make the wax workable. The very best carnauba-based car wax is only about 1/3 natural carnauba. It’s probably for the best since the price gets higher and higher as the concentration of carnauba rises. When a product advertises “pure carnauba car wax” or “100% carnauba car wax”, they are referring to the purity of the carnauba that is in the product, not the product as a whole. That brings us to grading. Carnauba is harvested and then graded according to color, purity, and where it was grown. Trees grown in the northern area of Brazil produce the highest grade carnauba. The yellow wax is the most pure and therefore receives the highest grade. This is the grade most commonly used in high end car waxes and in the pharmaceutical industry as a pill coating. Some manufacturers refine the yellow wax again into an ultra-pure white wax to ensure that the wax produces the clearest, most reflective gloss once applied to the paint. As you’ve already read, carnauba protects the leaves of a palm tree from the intense heat and humidity experienced in Brazil. The carnauba car wax repels water and, consequently, most contaminants. When applied to any surface, carnauba retains these characteristics. Therefore, an application of a carnauba-based car wax to your vehicle will protect it from UV rays, heat, moisture, oxidation, and environmental contamination. The drawback of carnauba waxes, if you can call it a drawback, is that it does not last as long as a synthetic sealant. A carnauba car wax finish will wear off in approximately 6 to 8 weeks. It depends heavily on the climate in which you live and whether or not your vehicle is garaged. Daily commutes in a hot, humid climate mean a shorter life span for your carnauba wax coat. If you enjoy regular waxing, then the life span of a carnauba wax is just one more reason to indulge in your favorite hobby! Paint sealants last a lot longer, they are easy to apply, and there’s nothing natural about them. This is surface science at its best. A paint sealant is made of polymers, which are composed of tens of thousands of synthetic particles that are linked together. When a sealant bonds to your vehicle’s paint, it forms a rigid shell. They are glossy and slick, but carnauba lovers will tell you they do not have the warmth and depth of a carnauba. Paint sealants have gotten progressively more popular as time goes on. Some people really love the hard-as-glass look. In an industry that is driven by technology, it seems appropriate that an engineered paint protector is the new favorite among many detailers. However, the real selling point of a paint sealant is the durability. A premium paint sealant can last 4 to 6 months, sometimes longer. By “last”, I mean that water will continue to bead and the paint will remain protected from UV rays and contamination. For people that spend more time driving than detailing, the paint sealant is the way to go. Paint sealants are extremely easy to apply. They are always in liquid form and they spread easily by hand or with a polisher. This time-saving feature makes paint sealants an attractive choice for those who like instant gratification, and who doesn’t? As you’ve seen, there are a lot of differences between paint sealants and natural carnauba waxes. Glassy, hard shell or deep, liquid shine? Six months or six weeks? These are the basic questions you have to answer before selecting your paint protection. A premium paint sealant can last 4 to 6 months, sometimes longer. However, a growing number of enthusiasts simply refuse to choose. Instead, they coat their vehicles with a layer of sealant for long-lasting protection and then top it with a layer of carnauba for the dazzling shine. Even if you forget to reapply carnauba in 6 weeks, your paint won’t suffer. Remember, paint protection is one of your vehicle’s basic necessities. No matter what kind of product you choose." My SSR needs the this! Most of our R's need this, I'm currently buffing out mine this week and next to try to get it all up to speed but don't think I'll finish as it's taking me much longer then I expected it too. Maybe at a tech day or something we can do a demo with yours or another and get some R owners a little experience with a buffer and show you how you can do it yourself. Josh... great thread... I'm going to hit the when the weather cools off. Definitely. If you ever want I can come over and help or show you a few tricks.... or maybe you can show me a few tricks. I'm sure you can do it! I think its important for everyone to know your talents, because you started with an above average car and are taking it to a whole new level.....wanna come polish a few for me? Sure I'd love to come take care of a few of those toys I saw on the show room. I'll just get my stuff and be right over. Those weren't mine....I was thinking of a Pac Blue, and a Corvette! One of the newest "Blues Brothers"! Great thread. My youngest son has been telling me I need to clay bar and seal my SSR, like he does his Tesla model S, but he does not explain it as well as this thread. I would love to attend a tech day on this subject, because seeing is better than reading. A YouTube would be great for this subject and I am willing to allow you to use my R as example for the You Tube. THANKS AGAIN!!!! Thanks for a good overview of sealants and waxes. If a car has a sealant applied to it, what process is required to remove the sealant so you can apply a system of polishes and waxes? If you're wanting to strip a wax/sealant off, I would start with a Dawn wash, followed by the clay bar process. If it's recently clayed and not in need then most any polish will strip a wax/sealant for sure. 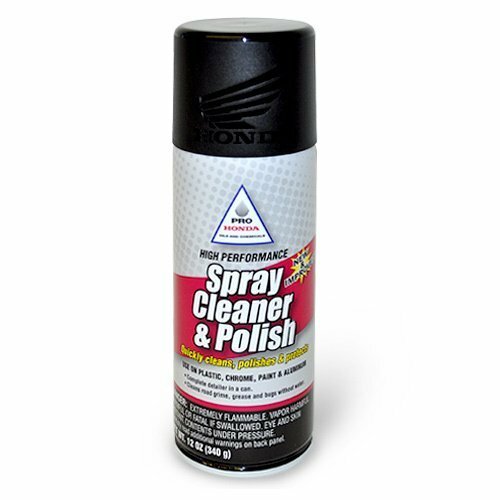 When you say polish are you referring to an abrasive product or a sealant that's called a polish like Zaino? I hate that Zaino calls it's sealants polishes cause they are not actual polishes. BTW, "most" abrasive polishes do not cross link with sealant but there are a select few brands that formulate polishes and sealants to interlink. Do you mind if I ask what system you're going to apply? I don't get into name brands too much, but I'm just curious who's system it is and if I'm familiar with it at all? The polish and glaze I typically apply using a Porter Cable 7424XP buffer. I also have an assortment of Meguiars and 3M products used for defect removal. What are you intending to accomplish with that process? swirl removal or just a good cleansing to the paint or just make it look better? Do you have many swirls on your SSR? or is it pretty good shape you think? Only asking cause that combo sounds like more of a paint cleanser from what it looks like and glazes typically fill in and cover up flaws so it will look really good but only temporary. Plus it's kind of useless to apply a wax/sealant on top of a glaze if it's a true glaze cause once the oils in the glaze evaporate or wash off there's goes your protection too. You always want to apply the protecting product directly on the paint, not on top of another product other wise it won't bond well with the paint and the protection will be short lived. Easiest way to see swirls is in a dark garage with 500W halogens or a really bright LED flashlight. That will show you the condition of the paint perfectly. Or direct sun light with no cloud cover. There's probably a million detailers or video's on youtube on claybaring. If you have any questions specific to clay baring you'r not sure about I'm happy to entertain them. It's really easy once you give it a try and get the hang of it. Just make sure you hang on to the clay on the vertical panels, it will try to slide out of your hand and you don't want to drop the clay. The Mothers products are part of their three-part system used to progressively clean surface contaminants like road film, polish out minor scratches and provide protection for the paint. Applying these products in the recommended sequence produces a smooth, deep gloss that holds up well under my use conditions. I experiment with other products/systems as well and am open to new and different ones. Before I can properly suggest to you a system or process to polish your SSR I really need to know the condition of the paint. Next chance you have at night in a dark garage look at it with shop lights or bright LED lights or direct sunlight. Until I know the condition I can't say what to do to fix it. If your finish is already perfect or close to then no need to waste anytime doing anything other then waxing and protecting that look. Some great info here! This is very helpful for everyone! I have been doing the clay, seal, wax for years on my daily drivers. We have a 2007 Lexus LS with 140K on it that is our daily driver and road trip car. I clay, seal once a year and wax after about 6 mo and use a detailer in between after washes. The finish looks showroom new except for the usual nicks and scratches and water always beads up on it. I use Klauss sealer and Mothers carnuba paste wax. They work great for me so I have not tried anything else. I found the key to the sealer is to be very sparing with it, a little goes a long way and a thin coat is all that is needed. A vehicle that is parked outside most of the time a second coat after the required cure time will extend the protection a few months. After I bought my R in May I used the same process. Paint was in good shap but had a lot of surface contamination on it. I used up two large yellow clay bars to clean it up, they were brown when done. Buffed it out with 3M #3 and green waffle pad. Cleaned up great! The clear coat on the R is super hard. I use an old school rotary variable spd buffer not an orbital, even for the final cut, been using one for decades and just haven't converted yet even though I have burned a few corners in my day but that's what painters tape is for. I painted my 81 corvette with a single stage black urethane, color sanded, compounded and buffed to a respectable glassy shine. I do not use a sealer on that paint because I don't believe they are effective on a single stage finish (comment?) so I only use carnuba wax twice a year after a light polish and black detailer in between. I have not yet had to clay that paint. 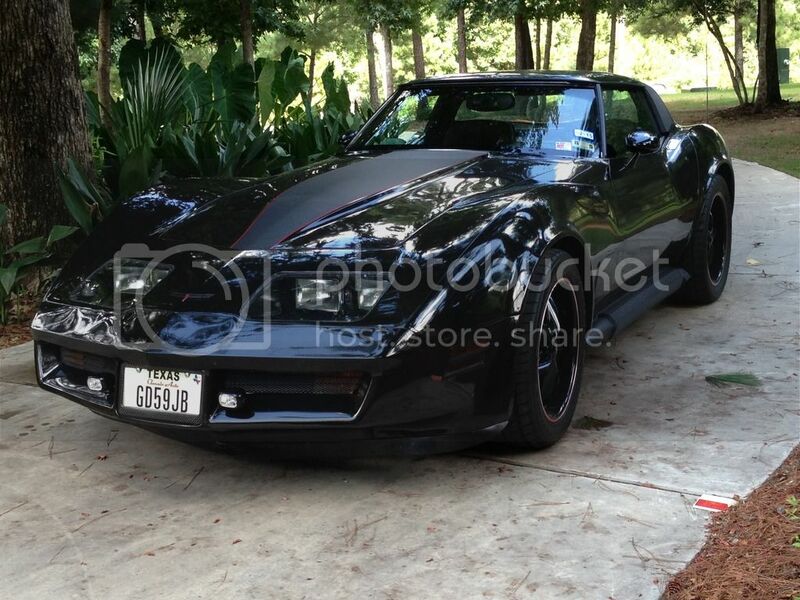 The Vette is only out on the weekends and very rarely gets rained on so wax holds up fine. Sounds to me like you're doing everything right. As I was reading I was thinking how SS paints oxidize so fast but then I read you polish it once a year before you wax it so that's perfect. Only thing I would mention is that sealants are just as effective on SS paint if not better then waxes since they last so much longer. Use what you want though but just know that sealants ARE effective on SS paints. They will probably even be more effective at reducing the amount of oxidation on that Vette I'd be willing to bet. As far as converting to a ROB (random orbital buffer) there's no need to "convert" as they are just two very different machines for different purposes. I have at least one of each. Going sparingly with most any product (including carnauba waxes) is the key IMO. Most people think the more wax/sealant product you slather on the better as if it piles up and creates a thicker barrier...... but it does not. It only makes it worse cause now it will take longer to dry and wiping it off can be very difficult as well as it tends to build up in the cracks this way. If people really want it to "pile" up or stack up protection, the way to do it effectively is by letting the first coat cure, then apply a second coat, let cure, then another. This can take several days as curing times should be around 12-24 hours depending on temperature and humidity. Great advice and tips here. Tools me hours of research on the topic and watching Junkman2000 videos to learn all of this. One item to remember with the 2 or 3 bucket wash system is the grit guard. You will be suprised how effective it is. Also when I have time I water dry the car with the garden hose and follow up with a waffle weave. I had been using a blower but found to many leaks along the pillar/header for my liking. I may not have ended up where I intended to go, but I know I've ended up where I'm intended to be...starting out with nothing and still having most of it left! Very true, I have grit guards in both my buckets. I totally forget to mention things like that. Like I said in my original post "theres' soooo much involved in detailing I know I would forget something." Haven't seen that one yet, what do you like about it? Easy on. Easy off. Buffs to a wet shine. If you're a Harley guy just do like my friends do and wrap the can,duct tape, HVAC tape or a paper bag. I've tried about every quick detailer on the market and this one has been my goto product. It's really a lifesaver using a microfiber to remove dust at a car show without leaving scratches. Autoprof and Joshvette like this. Nice to know of another good product. Have you ever tried Zaino's QD or Gloss It's QD? Of all the QD's I've tried Gloss It has the best. Zaino's good too but Gloss It is better since I can actually use the Gloss It QD on paint and glass and it doesn't streak at all, I've even used it in direct sunlight and it wiped in with no issues. It leaves a real nice slickness but it's super expensive and that's my only issue with the Gloss It QD. Have you ever tried Zaino's QD or Gloss It's QD? Of all the QD's I've tried Gloss It has the best. Zaino's good too but Gloss It is better since I can actually use the Gloss It QD on paint and glass and it doesn't streak at all, I've even used it in direct sunlight and it wiped in with no issues. It leaves a real nice slickness but it's super expensive and that's my only issue with the Gloss It QD. * what do you use on tires? * opinion on California Dustbuster type products? OK for very light dust? * what do you use on glass? * what do you use on SSR interior (seats, dash, etc)? * do you remove all previous wax when applying a new coat? If so, how? Would welcome specific product names if you care to offer. Thanks! voodoophantom and Joshvette like this. You lost me on this one, never heard of McKees?? I was talking about Zaino QD and Gloss It QD (quick detailer). I believe Bob McKee is one of the principals of Autogeek...he's been on the Autogeek-sponsored show called "Competition Ready." Looks like he's launched a line of products under his name, targeting the RV market. Meguiars D170 Hyper Dressing (professional line only not sold in stores) and Zaino (not Zymol) Z-16 Perfect Tire Gloss are the two I've used over the years. Both are water based and can be diluted with water for more gloss or less gloss on tires. If properly cleaned and minimal product applied will not sling when driving. If not cleaned well or there's another "shiny" product on the tires when you apply these dressings they may very well sling off, so please clean thoroughly prior. Typically I use the Meg's Hyper Dressing and cut it with water 50/50 ratio mainly cause I can buy it in a gallon size and can't with the Z-16. Not a fan of CA dusters at all, (actually kind of hate them). Understand I come from a more extreme standard of car care, but I know most think it's ok to remove light dust and what really happens is they drive the car around a few days during nice weather then dust off the car, that's not light dust, that's dirty wind, construction powder and environmental fall out. If the car was washed and parked in the garage for a few days, not driven, then light dust removed, that's ok but to not chance it I just tell people CA Dusters are not good and they're really not IMO. Don't believe all the marketing BS you see on these products. Common sense tells you dragging dust or dirt particles across the finish will induce swirls, you may not see them at first but after 6-8 months they will show up slowly but surely. I have so many people I detail for tell me "it's in perfect shape" but when I get there and put my lights on the car its' swirl heaven, mainly cause it happens so subtly they don't realize what's taken place and you don't see then under garage lights, need very bright lights. Outside glass I wipe down with my QD as I do the car with Gloss It QD (quick detailer), most other QD's streak but the one I use does not but I pay a lot for it. For the interior glass I use Stoners Invisible Glass. The key is to use less, maybe half a spray per two windows the follow up with a dry MF towel after the cleaning. Windows can be tricky so I typically use two MF towels just to make sure there's no streaks, but when you wash your MF towels, DO NOT use a softer as it can leave residues on the towels and transfer to the windows or paint when you use them. For basic cleaning I use 303 Multi-Surface Cleaner, it's water based as well and you can dilute it with water for stronger or weaker concentrated mix depending on your needs. It may require a little elbow grease for more soiled areas but you can rest easy knowing you're not using harsh chemicals that break down materials and strip the dye's in the dash and arm rests and such. You can also use it to lightly clean the leather seats. For the leather seats I really like Zaino Z-10 Leather in a Bottle for conditioning the leather. I don't like Zaino's leather cleaner but their conditioner is pretty awesome and smells like leather too for a while, sometimes it can be a little streaky so make sure you rub it in evenly. Really depends, as a pro detailer I prefer to stip a car all the way down the first time I detail it and then prep it correctly and lay a new foundation. However if I know the car and service it regularly when time comes to reapply the wax/sealant I do not strip it again, I just reapply and build upon the old layer so it should be even thicker then just by itself. So if it's been a while or it's the first time, yes you might want to strip it and start fresh after clay baring and polishing or what need be, but if it's just the regular 3 month wax job or whatever no I would not strip it, just keep building it up. As far as stripping it, just give it a good Dawn wash and claybar treatment should be enough. Or if you know for sure it doesn't need to be clayed try adding some Vinegar in your wash buckets as the 5% acidic content should help to strip the wax/sealant without harming your clear coat. Sorry for the long winded answers but I feel it's important to have an explanation rather then just a one or two word answer because there's so many variables involved. No not Mckees' #37. The QD I use is made by a business in Las Vegas called Gloss It. Gloss It is the name of the brand. Gloss It Quick Detailer. Thanks for taking the time and sharing your thoughts. You don't happen to know someone with a red SSR that lives a little bit south of Des Moines do you? No, don't believe so. No too many around here although I met an owner of a red one here in Des Moines several year's ago but he lived in Des Moines. He did sell it so who knows maybe the same vehicle? It was an '04 with auto.